Fangoria’s CHAINSAW AWARDS Will Recognize All The Horror Movies The Academy Snubbed | Birth.Movies.Death. In a development that will come as a shock to absolutely no one, the Academy snubbed the hell out of the horror genre with this morning's Oscar nomination. 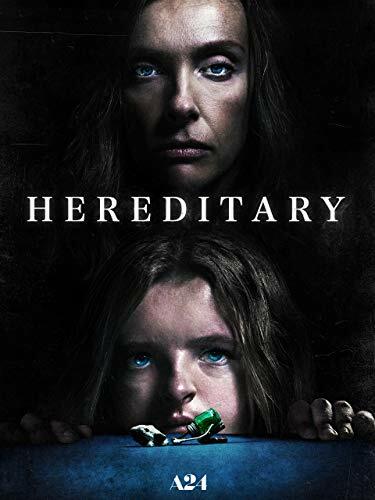 No love for Hereditary, Cam, Terrified, Mandy, Suspiria, Halloween...we could go on, but you get the point. Typically, this is the part where we wail and gnash our teeth, a reaction that's only mildly satisfying - one can only shake one's fist and curse the Academy so many times before it all feels like a waste of time. 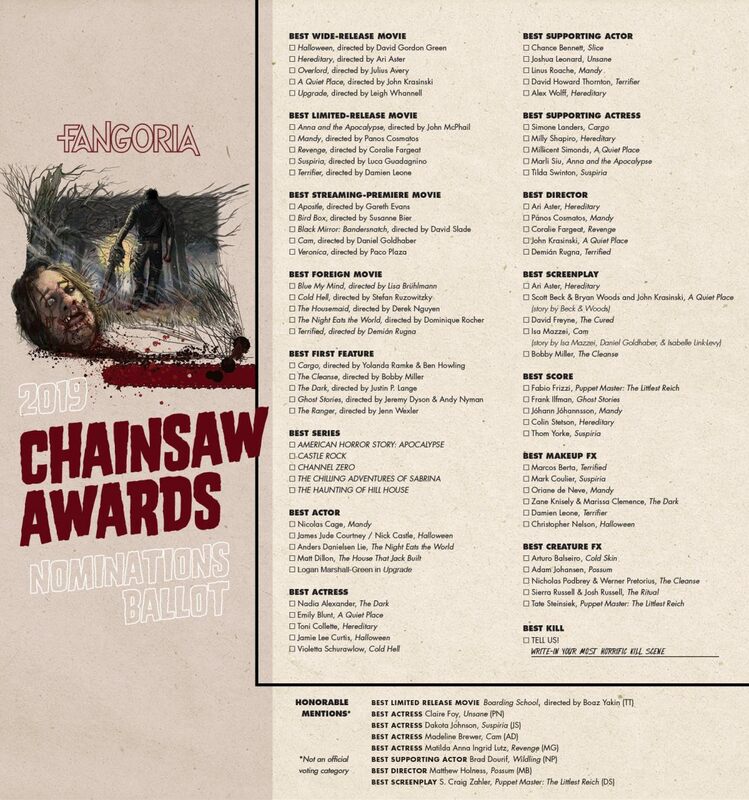 This year, however, horror fans have an alternative: Fangoria's Chainsaw Awards. If you head on over to this page, you can cast your votes for all the movies, filmmakers and actors who were left high and dry this morning. 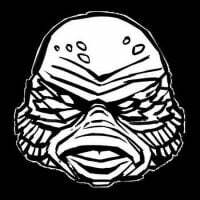 Voting is open from now through January 29th (at 11:59PM CST), at which point all your votes will be tallied and prepped for a big announcement in the pages of Fangoria #3. You can see the full ballot below (right-click and open in a new tab if the text is too small! ), or just click through to this page to make your choices. It's generally considered uncouth to ask someone who they voted for, but we're gonna do it, anyway: who'd ya pick? Show us your ballots in the comments below, and stay tuned for more from our friends at Fangoria in the near future.